I actively replace the phrase “work in progress” with ‘work in process” in all facets of my life: in my current projects and in daily living too. Learning to not be so results oriented has made all the difference in me being able to create and transform in my own journey; the expressive processes that I engage in all of the modalities have actively ushered in these transformations because they experientially challenge me to enjoy the journey. Sometimes this means putting down the process and walking a way for a certain time to simply rest; and when I return I can see a new angle that wasn’t evident to me before. Authenticity. Authenticity. Oh, did I say authenticity? 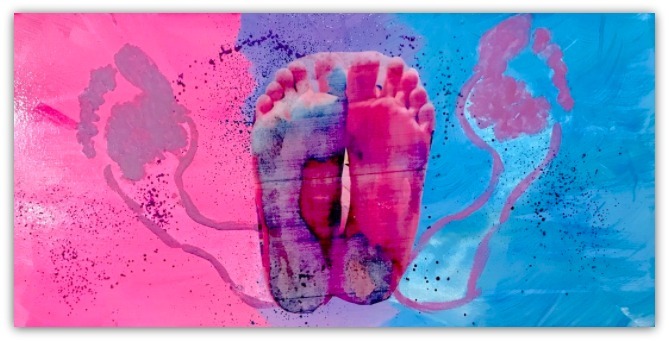 Answering the call to respond to my authentic voice, and a big part of this is breathing past any self-talk that I am NOT a dancer really, I am NOT an artist, I am NOT a writer, I am NOT a musician… expressive arts allows me to claim my birthright to create. And through this I find new, more enriching dimensions of my authentic voice every year. Sharing this gift with others is one of the greatest joys I experience! a.) 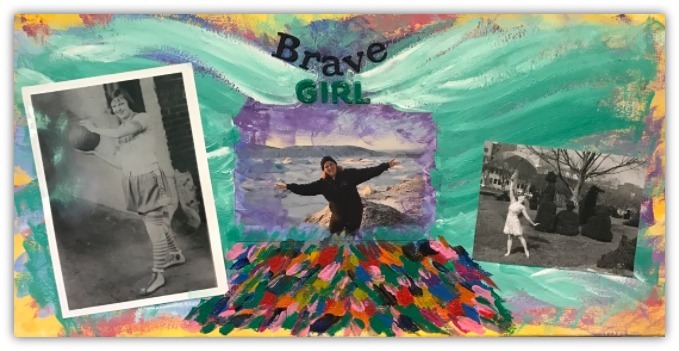 Blog - The Dancing Mindfulness Expressive Arts Blog: Jamie shares many of her personal expressive arts processes, and she invites open submissions from the expressive arts community. b.) Videos - Mindful Living Coping Skills Videos: Appropriate for client use or for facilitators to use as models for their own facilitation. c.) DVD - Amazon download available of an entire class; many video excerpts can also be sampled on our main website. "This ... is an invitation and a portal into the practice of dance and movement as meditation. All bodies are welcome and all abilities. Anyone can dance, although many of us hold back because we don't look like dancers or because we have physical limitations. But I am willing to bet that most of you holding this book have touched a moment of transcendence or freedom in an experience of dance that leads you to explore deeper." 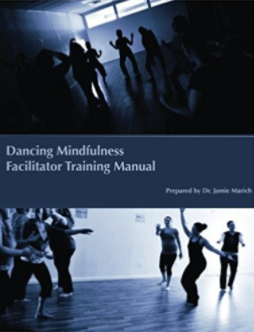 The Dancing Mindfulness Facilitator Training Manual is the current weekend training manual used by Dancing Mindfulness creator Dr. Jamie Marich during weekend facilitator trainings. Although reading this manual does not make one eligible for certification without taking the live training, it can be helpful to those interested in the Dancing Mindfulness practice. 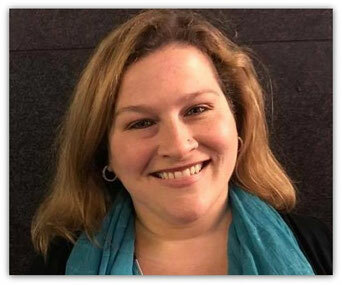 Jamie Marich, Ph.D., LPCC-S, LICDC-CS, REAT, RMT travels internationally speaking on topics related to EMDR therapy, trauma, addiction, expressive arts and mindfulness while maintaining a private practice in her home base of Warren, OH. She is the developer of the Dancing Mindfulness practice (www.dancingmindfulness.com). Jamie is the author of EMDR Made Simple: 4 Approaches for Using EMDR with Every Client (2011), Trauma and the Twelve Steps: A Complete Guide for Recovery Enhancement (2012), and Trauma Made Simple: Competencies in Assessment, Treatment, and Working with Survivors. 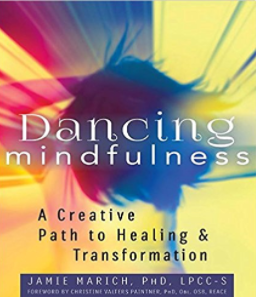 Her newest book, Dancing Mindfulness: A Creative Path to Healing and Transformation released in the Fall of 2015. She is currently working on her latest book (in collaboration with Dr. Stephen Dansiger) EMDR Therapy and Mindfulness for Trauma Focused Care (due out with Springer Publishing in 2017).